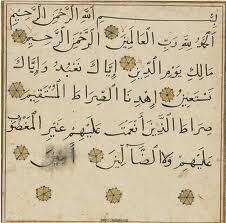 Assalamualaikum semua. Maaf lah dah lama x post benda baru. Bz sikit kebelakangan ni. Ok. Posting kali ini adalah mengenai URL Shortener. Sesiapa yang rajin mendownload atau mengupload mesti tahu apa itu URL Shortener. Untuk yang tidak tahu apa itu URL Shortener, saya akan menerangkan serba sedikit mengenai URL Shortener. Pendek kata URL Shortener ni memendekkan URL yang panjang itu. Selain memendekkan URL, URL Shortener juga memberi peluang kepada pengguna untuk menjana pendapatan dari setiap klik dari pengunjung laman tersebut. Contoh URL SHORTENER yang biasa digunakan adalah adf.ly / short.st / linkbucks.com seperti yang diketahui umum berpusat di luar negara. Masalah biasa yang timbul adalah dari segi pembayaran di mana pengguna harus mempunyai akaun Paypal, Payoneer, WebMoney dan sebagainya untuk mendaftar. Sekarang tidak lagi menjadi masalah dengan munculnya URL Shortener yang pertama di Malaysia iaitu Lynk.my. Laman web ini berpusat di Malaysia n tidak perlu akaun Paypal, Payoneer, WebMoney dan sebagainya untuk mendaftar. Cukuplah dengan adanya akaun dengan bank-bank komersial di Malaysia terutamanya Maybank Bhd. Dengan ini maka mudah lah untuk rakyat Malaysia menjana pendapatan dari sumber ini. Syarikat ini adalah hak milik rakyat Malaysia dan pembayaran dibuat dalam Ringgit Malaysia (RM) dan bukannya USD. Baru-baru ini pihak Lynk.my telah mengadakan 1 pertandingan dengan hadiah sebanyak RM4000 dalam pelbagai kategori. Pertandingan itu bermula 27hb Oktober 2015 – 27hb Disember 2015. So admin harap anda semua dapat memberi support kepada admin dengan klik link di bawah ni. What have been your challenges since you assumed office as the Head of this Department? Computing is changing everyday and you need to brace up with the new challenges and concept in the profession. Unlike other courses, new concepts come out regularly and we need to understand those concepts before we can impart it on our students. If you are not fast, while you are still on a concept you will discover that another one has been out. And so if you try to train the students the way you have always done, you will discover that you will not be accepted in the industry. The other challenge is the issue of power which is a national issue. If you must learn the computer, you have to be constantly on the computer and the Internet; so you have problems when you don't have power. Of recent, Nigeria has actually been operating on zero power. When this is not in place, we are handicapped because computer functions on the basis of power. What do you think is responsible for students lagging behind in practical computing after graduation? That will not be for our own graduates here because we have over a hundred functioning computers in our computer laboratory which students use for learning. We endeavour to train them on new concepts in the industry. What you have said generally is true because most of our institutions lack these facilities and computing is dynamic. Some lecturers that have been teaching for the last fifteen years still use the same notes, the same concepts and even the same curriculum. So the students will not get anything. If you must impart the right knowledge in computing, you have to be dynamic and move along with the trend in technology. Then there is the issue of syllabus and curriculum and it is so unfortunate that Nigerian curriculum is done in such a way that it cannot be changed easily; this can be a problem. The review of curriculum should be dynamic in computer science because without a dynamic curriculum, the students will not be up to date. Are your students allowed hands-on approach on the use of the computer? Yes, computing is both theory and practical and we have lots of practical that we introduce our students to. Though the course is practical based, they still need to have theoretical knowledge. So there is a blend of theory and practical. What have been your school's contributions to the growth of ICT in Nigeria? Yaba College of Science and Technology is one of the first institutions that started the use ofthe Internet even before it became a household name in Nigeria. 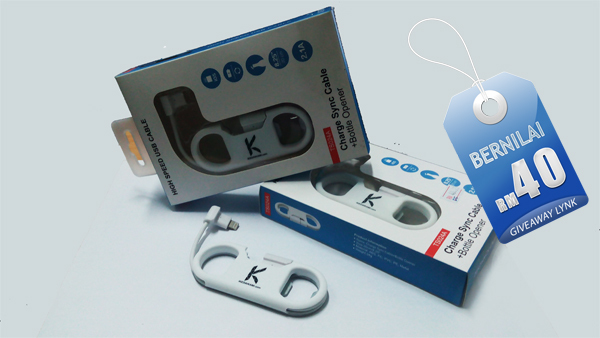 So we are really the pioneer of ICT applications delivery. We are also one of the few institutions that have Internet access in every office, classroom and even part of the student's hostels. We organize trainings in ICT for both our students and staff and we are presently planning to make the department a pragmatic centre where we can do certifications. What are your views on local content? This is one issue we will not be able to shy away from. Having our home-made computers and software is the most important thing that can happen to the IT industry and to Nigerian economy as a whole. As it is in other industries which are almost dead, what we do is just to assemble, which is not good for the industry and the country. We actually make our students here make computer casing with wood and we try to fix in some of the components. Must a casing be made with metal? What about wood or even plastic? These things should be looked into. But even with all these, we still can't go anywhere without resolving the power issue in Nigeria. This is the only way we can make headway in developing local content. We have the capacity and manpower. Most of the software that our students and even colleagues write can compete internationally but these people lack encouragement. Nigerians prefer going to India to buy software because they complain that Nigerian software are costly which is not true. We should try and encourage the spirit of self-dependence. The environment now is too harsh for self dependency. There should be an enabling environment and law that will allow young and productive entrepreneurs function properly. They can be given incentives, loans and grants to start with. What do you think about the CPN registration? Would it improve the quality of service? Yes, it will. CPN is the umbrella body that regulates computing in Nigeria and we are glad to say that we are CPN certified. We attend conferences and even annual general meetings. CPN exists to control and ensure high quality. So with the National Board for Technical Education, (NBTE), they go to all schools to do accreditations and I think this is healthy for the industry. They are in the forefront of ensuring quality in all tertiary institutions which I think is a major feat. With the level of ICT in Nigeria, do you think the industry can meet up with what is being demanded by 2020? university with about three campuses just for multimedia; they call it Multi Media University. We don't even have IT university here that offers just IT as a course alone. The government should establish universities and polytechnics dedicated to IT and ICT education alone. How do we actualize Vision 2020? Students should be focused on the IT profession. Focusing on banks and oil companies will not help us. We need software that can compete with other IT giants of the world. The government should create an enabling environment for students and IT personnel to function. Parks, ICT centres and institutions should be provided. The private concerns should also encourage IT education. There should be organisations sponsoring IT education and establishing research centres. When I went to the Multimedia University in Malaysia, I discovered that Microsoft, Intel, and all the large organisations have laboratories there, well equipped and furnished for practical purposes. We should try and see a situation where banks and oil companies will come in and invest on ICT development. Drive-in cinemas: Will they survive the digital age? At their peak, there were more than 4,000 drive-in cinemas in the US. Now only a few hundred have survived against the odds - but could the cost of converting to digital be the final straw? "I would hate to close America's oldest drive-in movie theatre, but it's a matter of personal choice about whether we can afford to spend that kind of money." Shankweiler's, in Orefield, Pennsylvania, first opened its doors in 1934 but current owners Paul and Susan Geisinger fear the 2012 season may be its last. 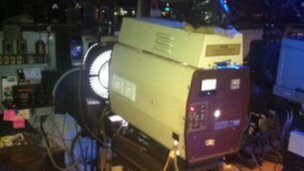 Like many small independent cinemas across America, it could be forced out of business by the cost of converting to digital projection. Mr Geisinger is coming up to retirement age and is not keen on the idea of taking out $175,000 (£112,000) loan to pay for a digital projector and the necessary building work to house it. "It is a lot of money for a seasonal business. But we have been left with no choice. Either the conversion has to be made or it's going to close," says Mr Geisinger, who started working as a projectionist at Shankweiller's in 1971, before buying the business in 1984. The big Hollywood studios are eager to eliminate the cost of manufacturing and shipping the 35mm film prints that have traditionally been the mainstay of the industry. By posting hard drives instead distributors could save hundreds of millions a year, according to some estimates - a tempting prospect for an industry under pressure from internet piracy and video games. And with more than half the cinema screens in America already converted to digital, experts believe 35mm prints could disappear altogether within two or three years. The industry says digital leads to a quicker turnover of movies, greater choice for consumers, and the promise of 3D and other special features. But hundreds of small independent cinemas, in the US and around the world, have already decided they cannot afford to buy the equipment needed, say industry sources. The death of the drive-in - if that is what is happening - is likely to be felt more keenly in the US than in a country like the UK, where the concept never really got out of first gear. A generation of Americans spent their formative years - and did their courting - at the drive-in, in an era when the car was king. At the height of their popularity, in the late 1950s, America had more drive-in movie theatres than indoor screens - more than 4,000 of them. But they declined in the 70s and 80s due to owners cashing in on high land values and the competition of video rentals. About 400 drive-ins have survived to the present day, most of which are small, family-run concerns in rural areas. Fred Heise took over the Melody Drive-In Theatre, in Knox, Indiana, from his father in the early 1970s, and had hoped to hand the business on to his son, until the digital spectre reared its head. "We will probably end up doing it. It is one of those where you do it kicking and screaming," the 64-year-old says. "One wonders if you would live long enough to completely pay it off." Today's drive-ins are a far cry from the so-called teenage "passion pits" of 50s legend - you are more likely to be parked next to a pair of "baby boomers" reliving their youth, or a young family enjoying a cheap night out, than a car full of rowdy or amorous teenagers. But despite the pervading air of nostalgia, the owners have tried to keep pace with technology. Patrons can now listen to the movie on their car stereos, on a special FM frequency, rather than through the primitive "sound poles" that sit next to each parking bay. 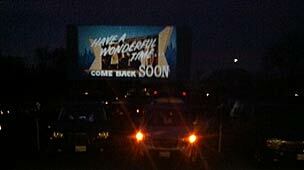 Drive-ins also try to offer better value than the local multiplex. You can normally watch three or four of the latest Hollywood releases for less than $10 (£6.39) in total, as well as stocking up on popcorn and hot dogs for less than you would pay in one of the major chains. "For me it's mostly family value. Because I work so much my daughter and I don't get to spend a lot of time together so we come here and we watch the shows," says Michael Ravenscroft, a truck salesman, from Sykesville, Maryland. 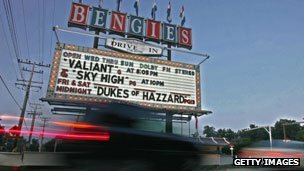 He has been visiting Bengies, Maryland's only remaining drive-in, since he was eight. Diane Hain, an accountant from Baltimore, is possibly Bengies' number one fan, having visited the theatre 70 times in the past year: "This place is special. I wouldn't know what to do with myself if it was gone." Fortunately for her, Bengies owner, D Edward Vogel, is among those who plan to make the leap into digital. He is convinced the drive-in is more than just a museum piece. "Young people, who have the video games and all those fancy toys and those nice phones, they are amazed. "They come in here and they are mesmerised by this fine old antique I call the Bengies drive-in and that does warm my heart like you would not believe." Mr Vogel, who bought Bengies from his father more than 20 years ago, is still using the same projection equipment his family installed when they opened the theatre in 1956. Maintaining the two vintage projectors, and splicing film together with classic trailers to provide a continuous show for customers, are what he enjoys most about the job and although he believes digital will rob the drive-in of some of its magic, he is in no mood to throw in the towel. "There is something so special about sunset to me. That moment before twilight. That even when I am not operating, I will look at that screen and my heart pines to put light up there." Mr Vogel, who is also chairman of the United Drive-In Theatre Owners association, says it is a "scary" time for many of his members. "You would think the distributors would take special care of the little guy and, truthfully, I don't think they really care. I think they already figure the screen count's going to go down." Few drive-in owners will go hungry, even if they are forced to shut up shop. Many are sitting on prime real estate and should be able to look forward to a comfortable retirement. They are also reluctant to be seen as standing in the way of progress. "I have seen digital and it is brilliant," says Steve Wilson, owner of the Holiday Drive-In, in Mitchell, Indiana, but he believes the distributors have pushed the technology on independent operators too quickly, before the price of the hardware has a chance to come down. And he believes that if drive-ins are allowed to die, the US will lose a little piece of its soul. "I think it is a big loss to the American people. Everywhere, you see theatres winding down and people are just aghast at what is going on, but they cannot do anything about it." He will not be among the drive-in owners "retiring to Florida" after "selling their land to Wal-Mart", he is quick to point out, and is currently looking for a job after deciding to get out of the cinema business. Fewer than 20 drive-in cinemas around the world have so far made the plunge into digital, according to industry experts, and probably no more than four in the US. But the industry has proved remarkably resilient over the years. Shankweiler's, which was the second drive-in theatre to open in the US, but may well be the oldest one in the world to have stayed open continuously, even bounced back from being destroyed by a hurricane in the 1950s. It would be a shame, says Paul Geisinger, if it were to close now. "I am going to toss a coin and decide what to do," he says. "By September 2012 we will either have converted to digital or will be packing our things into boxes and closing it down." You get the feeling this particular big screen story may yet have a sequel. IT department heads must become accountable for energy consumption. After this, businesses can get serious about using technology to reduce their carbon footprint. KPMG technology innovation advisory director Dr Bruce McCabe says typical IT leaders can be split into two camps: those who have electricity in their budget, and the majority, who do not. "When you look at IT being responsible for energy use, that brings up the question of chargeback and how that would work, how to charge individual departments for their energy use," McCabe says. Given that many companies are still grappling with the intricacies of putting in place a chargeback system, it may be some time before technology is used to reduce the overall energy footprint of organisations. McCabe believes the biggest gains in the green IT area will be made when technology is used to monitor the IT consumption of bigger assets. "Until now this has been unexplored; for any system, there is an opportunity to analyse energy use and energy efficiency." Before the global financial crisis, green IT was high on the chief information officer's to-do list; now it is "middle of the road". In October 2008, management consultant McKinsey put the IT industry's share of global greenhouse gas emissions at 3 per cent, and forecast a rise to 6 per cent by 2020. McCabe says: "The single biggest step companies should look at is capacity utilisation, increasing energy savings by using virtualisation to spread the computer load" and by using fewer computers more efficiently. Hydro Tasmania has undertaken such a task and been able to cut power consumption by more than 60 per cent. "Moving to a virtualised server environment offers a very clear and fast return on investment, with payback available within as little as 12 months," Hydro Tasmania IT services manager Mark McLean says. With IT services firm Logica, the company is working on other power saving projects such as desktop virtualisation. "To limit paper waste in the organisation, we are in the final stages of a print project that will provide us with a centralised monitoring solution to show exactly where and who in the organisation is responsible for large amounts of printing," McLean says. "We are already seeing a reduction in paper consumption, but expect this to grow to a total reduction of 30-40 per cent once the project is fully completed." McLean says the business will roll out several other projects using technology to cut carbon emissions. "These will include high-definition video conferencing units (and) desktop collaboration and screen sharing tools to reduce the need for staff to travel between our offices across Tasmania or interstate." Hydro Tasmania is not a typical example of where Australian businesses are at with their green IT agenda. McCabe believes the majority of Australian businesses are looking at green IT in terms of procurement practices, buying more energy efficient products and looking at virtualisation. "Businesses need to get a sense of the end user footprint, capacity utilisation for processing power and storage; looking at virtualisation. However, first they need to understand, measure and model energy consumption, arrange for separate billing, some company instrumenting, obtain data from every room or machine." McCabe believes businesses need to get clever with data centres. "This is where the biggest savings can be made -- look at cloud computing, look at things such as relocating a data centre with the airconditioning, clever solutions for cooling." The biggest gains, however, are in the field. "Using IT to decrease the energy footprint of the organisation, such as video conferencing and fleet management; using software to gain visibility of individual departments or individuals."